Cathedral and tall elaborate spires in Milan Italy. - Stock Footage, Inc.
Home Italy Cathedral and tall elaborate spires in Milan Italy. Cathedral and tall elaborate spires in Milan Italy. Tags: antique, architecture, building, buildings, castle, cathedral, cathedrals, design, european, gothic, gothic cathedral, HD, high Europe, ITA0000A463, italian, italy, landmark, old, old buildings, plaza, red, roman, rome, side shot of cathedral, structure, tour, tourism, tourist. 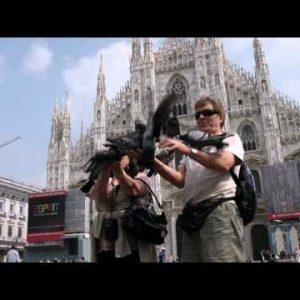 Royalty Free Stock Footage of People holding pigeons outside a Milan Italy mall. Royalty Free Stock Footage of Bologna cityscape at sunset. Royalty Free Stock Footage of Statue in a plaza in Bologna Italy.